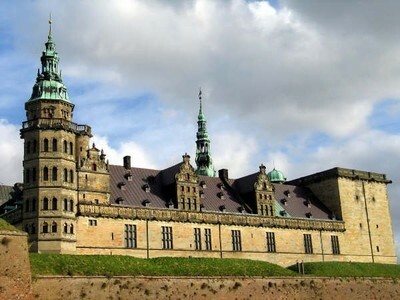 “There’s something rotten in the State of Denmark.”The words of the eternal bard Shakespeare in one of his master pieces: “Hamlet.” Each year Hamlet is performed at the plays true location at Kronborg castle in Elsinore, Denmark. This performance is put on by the United Kingdom’s Globe Theatre an acting troop that comes intact with Shakespearian honed actors. The story of Hamlet appeared for the first time more than 800 years ago in the Saxo Grammaticus’ History of Denmark. In 1601 William Shakespeare used these histories to pen the famous play. At that time drama was generally based around action rather than deep characterisation. Shakespeare defied this convention by creating one of the first, and best ever, character studies. Audiences for hundreds of years have voyeuristically watched the young prince Hamlet feign and possibly succumb to madness on the stage before them. At the heart of the play are questions that we all face about truth, identity and duty. These are the quandaries that plaque Hamlet as he comes to grips with the death of his father. This play exists as much a study of the fragmented Danish court within Kronborg castle as a study into the very heart and mind of Hamlet. Dromgoole had this to say about his intention with the play: “Instead of saying: what can we do with this play, we try and say: how can we make this play come alive. We try to be as simple and tell the story as clearly as possible.” If the opportunity presents itself be sure to see this classic play performed in its real location.